Architects Louise Harpman and Scott Specht both began collecting plastic coffee cup lids in the 1980s, but only became aware of each other’s interest in the subject when they met as grad students at Yale in the early 90s. 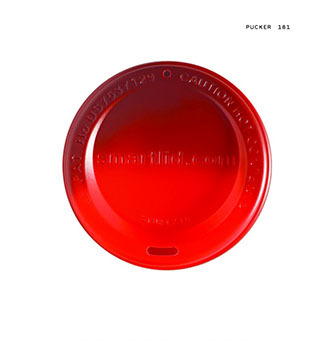 Between them they now boast the largest collection of take-away coffee cup lids in the world and their new book, Coffee Lids: Peel, Pinch, Pucker, Puncture, brings a selection of these lids together and looks closely at the evolution of this ubiquitous piece of everyday industrial design. 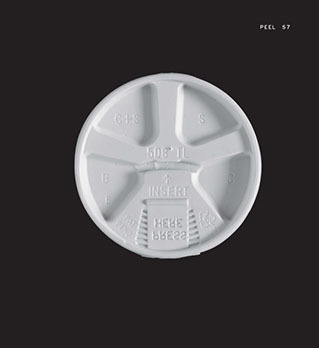 The vast majority of the lids featured in the book – over 500 “unique, patented, drink-through, disposable hot-beverage lids” to be precise – are pure function. While it goes without saying, a good lid design prevents liquid from leaking out of the opening of the cup, ensures that the drink can be safely transported and enables the beverage to be consumed with ease. And there is a lot more to this that you might think. These lids are “ordinary items found in ordinary places,” Harpman writes, but they remain interesting for their variety – and the sheer number of gradual improvements that have been made since they first emerged in America in the late 1970s. 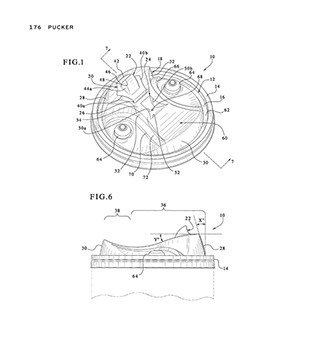 In his ‘Brief Guide to the Coffee Lid’ chapter, Specht explains how the ‘proto-lid’ – a lid with a perimeter ridge that gripped the rolled rim of the cup and that closely resembles the ‘snap-on’ lids of today – was first patented by James D Reifsnyder back in 1950. But it was nearly three decades later before the emerging ‘on-the-go’ consumers really changed the way that coffee cup lids were designed. In the late 1970s, Harpman explains in her introduction, it was American “coffee-loving car drivers, bus riders, train travelers and walkers” who drove the change. At the time, fast food restaurants and convenience stores sold hot drinks in small disposable cups “with tight-fitting, opaque lids, which had no penetrations other than a small pinhole to allow steam to escape,” says Harpman. While this solution was “inelegant, unhygienic, and time-consuming,” Harpman writes, it was “also very popular”. And it was this behavioral change in the way that coffee drinkers were interacting with the products on offer that made designers take note. 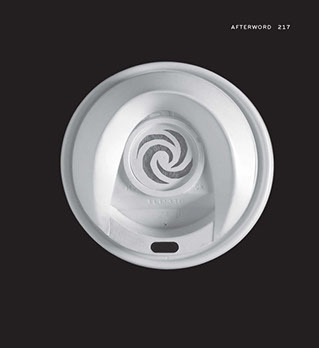 “It is from this informal hacking or do-it-yourself community that the contemporary coffee lid came into being, beginning with the earliest peel-type lids,” she states in the book’s Afterword. 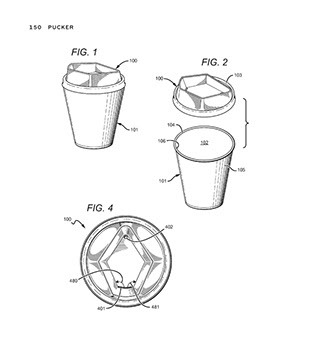 Since that point, coffee lid designers have sought to create the perfect drinking experience. Specht outlines some of the technical aspects that every lid must take into account. For example, when drinking, the mild vacuum that’s created as the lips form a seal over the opening needs to be equalized – this is usually solved by a tiny air-intake hole punched into the top of the lid. Then there are the multitude of “slosh drainage systems” that have emerged – essentially, another small hole or opening near the main drinking aperture that enables any spilt liquid to return back into the cup. (Various ‘stoppers’ and ‘splash sticks’ have also been designed to prevent this). Change to the design of lids has also come about through consumer action. Following the bad publicity generated by the 1994 case of Liebeck v. McDonald’s Restaurants, which centered on the chain’s serving of very hot drinks in cups with dangerous, loose fitting lids – and was settled in the plaintiff’s favor – warnings have become a prominent feature of lids, as have the “press-in dimples” which identify the drink within. 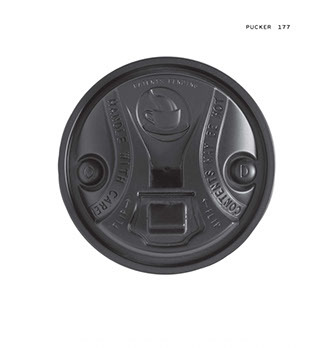 Coffee Lids is a fascinating glimpse into the evolution of a design archetype of our consumer culture. The presentation of the lids enables the reader to pore over the details inherent to these appealing shapes. As Specht puts it, “there is a basic aesthetic pleasure that comes from viewing a succession of similar but not identical objects”. Yet the succession of lids inevitably makes one think about the sheer amount of these things that have been produced over the last 40 years. A paragraph in the book makes reference to the biodegradable lids which first came out in the 1990s – and according to the authors occupy “a major niche market in the coffee lid world” – but it is surprising there isn’t further discussion of this important area of change. As more is done to tackle the huge amount of plastic waste produced by take-away coffee cups – from levies placed on them at the point of purchase in coffee shops, to discounts for customers who bring in their own cups – many of the examples in the book will gradually be consigned to history. In that sense, perhaps this vast collection of everyday objects also presents a challenge to the designers of the future.